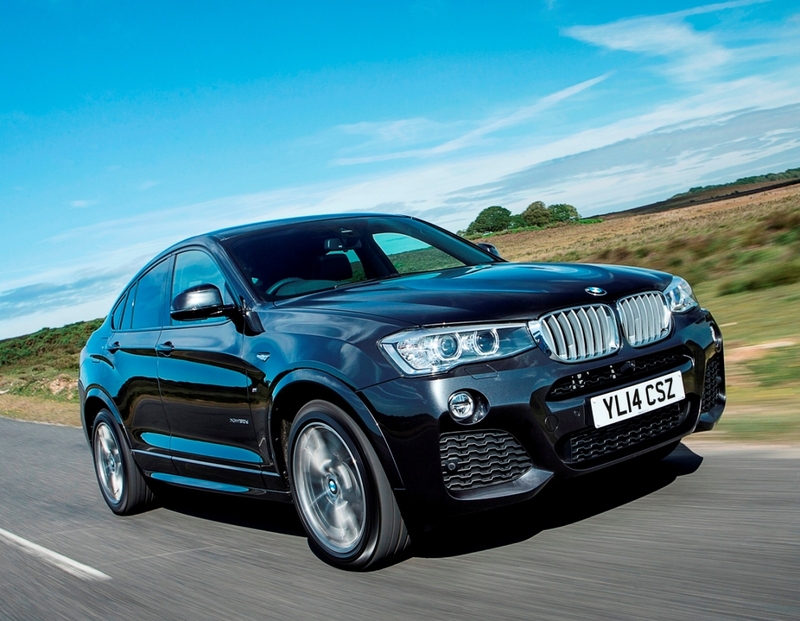 BMW X4 3.0d M Sport SUV – Assessed by Robin Roberts (Miles Better News Agency). coupé styling. This beefy brother to the 3 Series and X3 SUV was introduced to fill a niche of the market where Audi, Porsche, even Land Rover, have been plugging away with their sports SUVs. Without losing the 3 Series agility, the X4 mid-sized sports SUV brings added ability with its intelligent xDrive all-wheel-drive transmission and that is useful on slippery roads or muddy tracks. Essentially there are six models in the range in three trim levels, SE, xLine and M Sport. The compact range is powered by 2.0d four cylinder 190 hp, six cylinder 3.0d 258 hp and 35d 313 hp turbodiesel engines. Our 3.0d is the mid-range engine model but with the highest M Sport level of trim and equipment. It comes with a hefty price tag and VED penalties, which, if you can live with them, means you get a very powerful and refined car for your donation to the national debt. Entry is easy and room in the cabin is good for four (and at a pinch for five), with a compact boot unless you fold down the back seating area. Seats are very well shaped and upholstered, locating occupants comfortably and supporting well where it matters. Temperature control is very effective with powered windows as well as auto climate settings but there’s no sunroof. For the driver everything comes immediately to hand, instruments are big and clear, less important screens are also easy to read as well and the reversing camera is one of the highest quality I have ever used. At the other end, the BMW X4 M Sport has some of the brightest lights I have experienced as well with long wide beams, there are very big wipers and a powerful wash facility. Vision is good to front and sides in daylight, over the shoulder is far more restricted when pulling into traffic and you really need the sensors and that camera when parking as the corners are out of sight. There’s bags of power underfoot, always delivered unhesitatingly, strongly and quietly with an eight-speed transmission making imperceptible changes up or down the box. It is difficult to tell how hard the powertrain is working because the noise levels are very low, but so is the economy overall and that’s the give away to its performance. The pickup, composure and always on tap power is delivered seamlessly, and it’s the same with the powerful brakes and really well balanced steering in your hands. Ride quality is generally good, slightly firm on the big wheels, but still compliant and never hard or body shaking. It corners with confidence and without drama, and you’re never aware of the all-wheel-drive grip shifting back to front or the other way. You just sit there in a safety bubble. 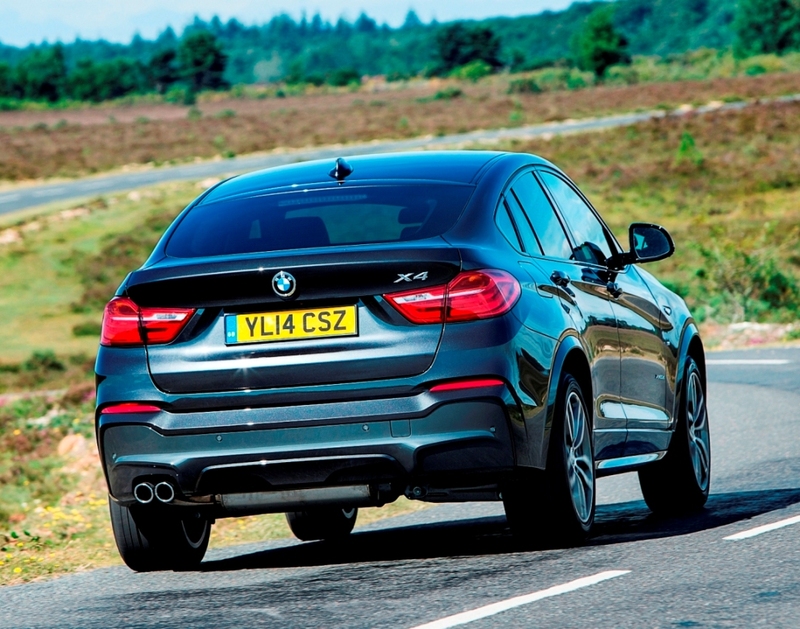 The BMW X4 M Sport makes you feel good and at the end of your journey or day you can just cross off another one completed. Against: Some vision and space restrictions, mediocre economy, high tax costs. 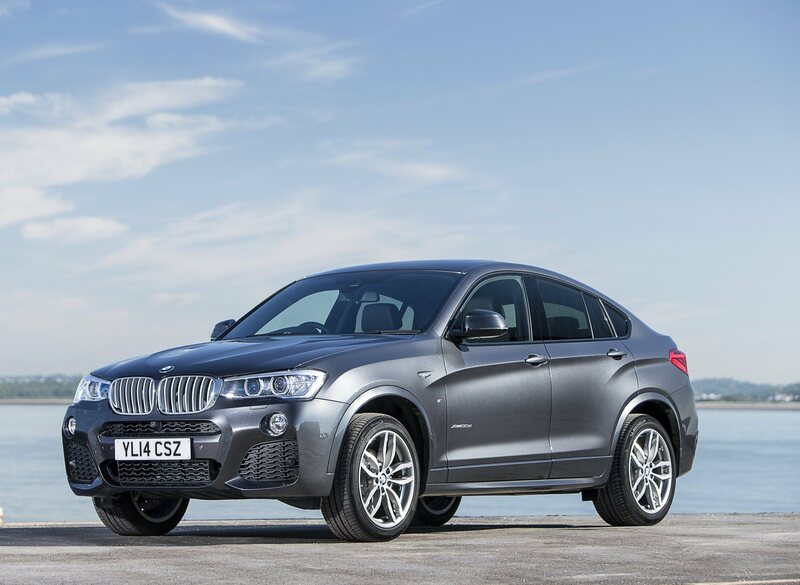 BMW X4 3.0d M Sport xDrive SUV five door. Mechanical: 3.0 litre, 258 hp six cylinder diesel, eight speed auto with xDrive traction. Performance: 145 mph, 0–62 mph 5.8 seconds. Fuel consumption: Combined Cycle 47.9 mpg (32 mpg on test). Emissions and taxation: C02 emissions: 156 g/km, VED First Year rate £500 then £140 thereafter + £310 supplement for five years, BiK company car tax rating 33% Insurance Group: 40E. 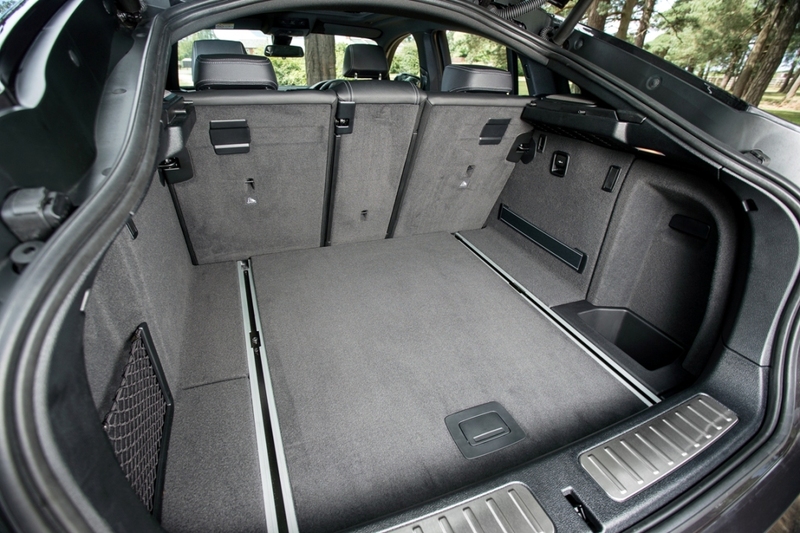 boot/load space 500–1,400 litres (17.65–49.44 cu.ft).